Via HockomockSports and Twitter, we share the info on the rescheduling of the Super 8 baseball playoff game from Weds to Thursday. Same time, same place. 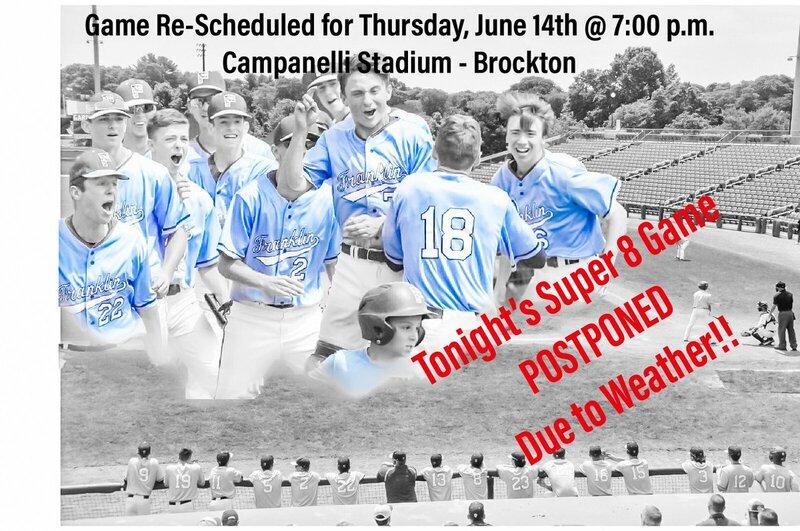 Postponed to Thursday, 6/14 at 7:00 at Campanelli Stadium.